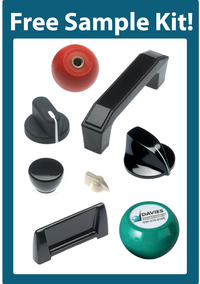 Davies Molding has been molding knobs, handles, cases and custom components for over 80 years. 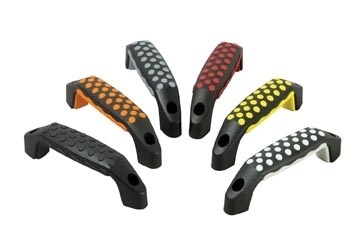 One of our molding capabilities is two-shot injection molding. We often refer to the two-shot parts as "soft touch" since this process involves combining hard plastics with soft materials. Soft touch parts are manufactured in our 110 ton, two-shot press using nylon and thermoplastic elastomer (TPE) materials. These materials provide the soft touch knobs and handles with strength and durability, while having a soft, comfortable grip. Thermoplastic elastomers are a diverse class of polymers that look, feel and behave like rubber. They can be processed and recycled like thermoplastic materials. The first US based production of TPE was in 1959 for B.F. Goodrich. In the 1970's, TPE was being used for wire and cable insulation and jacketing. Then there was the focus of using TPE as a rubber replacement, in the 1980's, for automotive and medical parts. Today, they are used in many different industries due to the advantages they provide. There are major benefits for using TPE in molding. Part consolidation, design flexibility, improved part tolerances, improved part appearance and consistent performance are a few of the benefits. It's a great material to use for multi-material components since it reduces assembly labor and the need to adhere parts together. The manufacturing steps are reduced by being able to mold using the two-shot process. 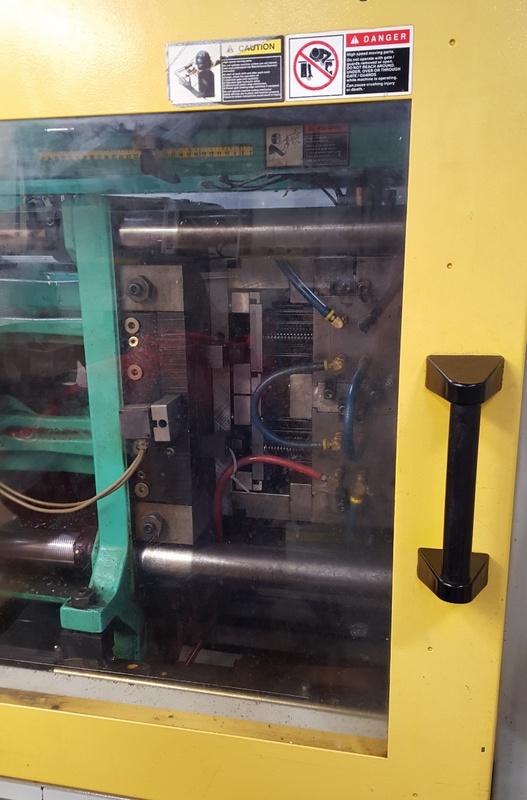 The two-shot injection molding process we do at Davies Molding, requires a special two-shot press. This press has two separate injection units that inject a different material into each of the mold cavities. The first material is injected, the mold closes and then the second material is injected into the other cavity. After the part has cooled, the mold opens and the completed part is removed. If you would like to learn more about our two-shot injection molding capabilities or to request a quote, please contact our knowledgeable team at info@daviesmolding.com or 800-554-9208.